Are you a chocoholic? 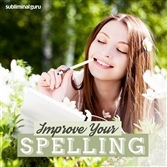 Want a fast and easy way to stop gorging yourself? If you're a fan, chocolate is delicious. It's a tasty, comforting, and immediately satisfying treat. But like anything else, too much of it can be bad for your health, and it makes sense to find a way to enjoy it in moderation. 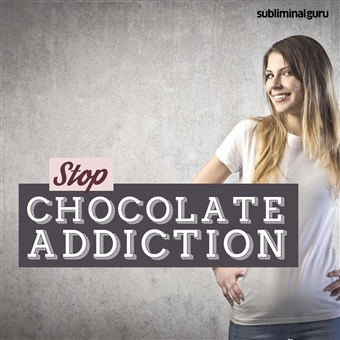 With the Stop Chocolate Addiction subliminal session, you'll unleash your inner reserves of willpower and resilience! 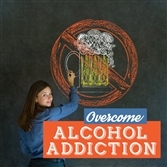 As you listen, thousands of powerful positive affirmations will change your thinking, helping you resist the temptation of chocolate. You'll start to crave healthier snacks, knowing that it's up to you what you put in your mouth. You'll be determined to maintain your overall health and well-being, enjoying chocolate only occasionally as a special treat. 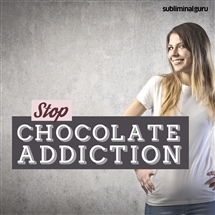 Download the Stop Chocolate Addiction subliminal audio now to curb your chocolate cravings once and for all. Chocolate is a treat to be enjoyed sparingly. I can resist sweets and chocolate. I choose healthy snacks between meals. My mind is strong and able to fight temptation. I am in total control of what I put in my mouth. I can be happy without eating chocolate. I focus on maintaining my health and well-being. People praise me for my determination and strength. Avoiding chocolate is easy for me.